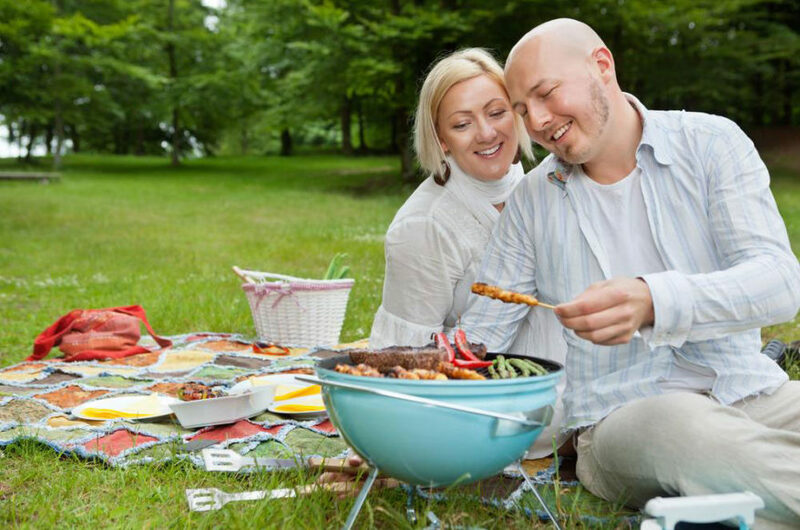 Take a break from customary family dinners this holiday season and plan for a picnic with your family, friends or your special someone. You could have a cook out or carry home made delights beforehand. Celebrate the holiday weekend with these lip-smacking picnic-friendly recipes. Wraps are the most convenient eats to carry on a day out. You could make them before hand and even carry them to roll them out fresh right before you want to eat! Chicken curry wraps would make your day out fun and so much more fulfilling. For an extra zing, add peanuts in your chicken curry. You may add some coleslaw in the wrap for a creamier and richer appeal. Make sure you carry a tangy dip along! What could be better than carrying jars full of saucy and creamy pesto on your eat out! This quick and easy pesto recipe takes a total of 20 minutes to get made. Boil and cook penne as you like it and toss it in a blend of basil, walnut, parmesan and garlic with some olive oil. Once you reach a thick and creamy consistency top up the pasta with desired toppings of feta, olives and cherry tomato and bottle them up in your favorite mason jars! These are easy to carry and very convenient to eat! Use your favorite tuber to work up a soul soothing salad for your picnic. Boil potatoes and let them cool. Whisk mustard, vinegar, olive oil, lemon and a runny dressing of your choice and add those boiled potatoes in. Add mayo and milk to give the salad a smooth and velvety feel. Garnish with celery and spring onion. You could pack them as is or refrigerate them before the big day! Complete your picnic menu with this unconventional dessert to make your brunch a memorable event. You could add a tablespoon of ginger powder with some cinnamon and mixed spice to your flour batter and give your sweetish a punchy kick! For the icing, mix orange zest and sugar with some lemon and orange juice and stir till smooth. Pour the syrup over the slushy sponge cake. Cut square bricks for ease of storage. You could carry these hot and sweet cakes for your picnic and enjoy the goodness of ginger laced chocolate with a zesty orange aftertaste. This dish will surely tickle your taste buds and leave you craving for more!